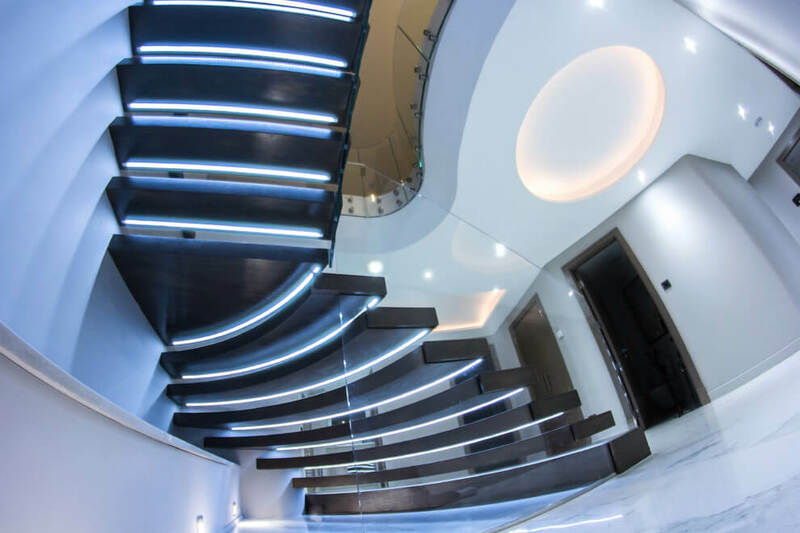 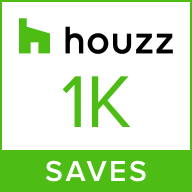 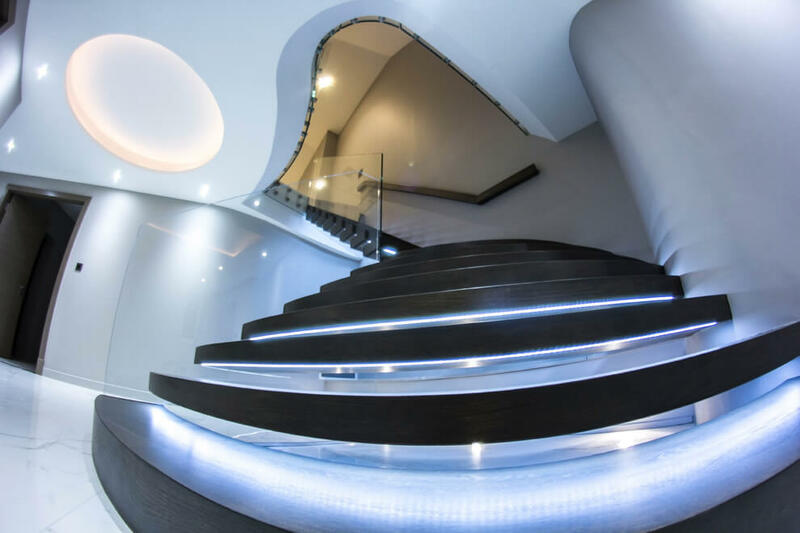 Our idea behind this project was to create a staircase that is truly majestic and modern, perfectly fitting in with the rest of the home, fulfilling the overarching vision of our client. 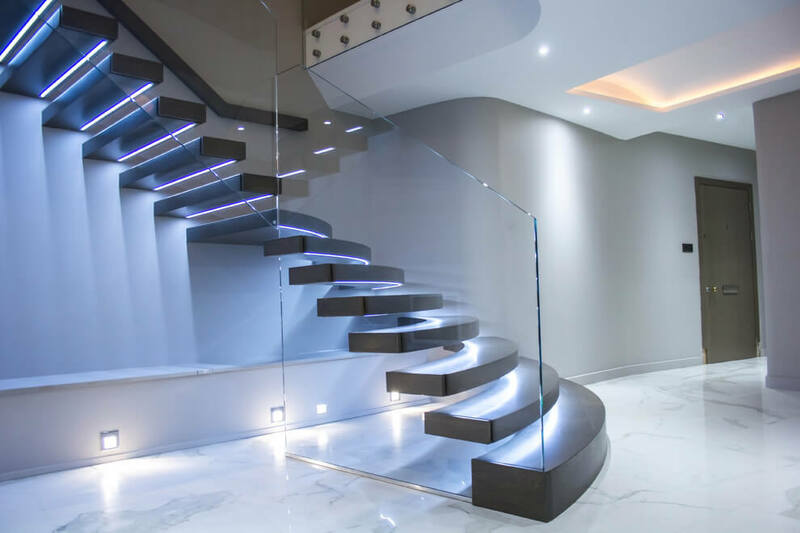 In order to achieve that result, we opted for a floating staircase. 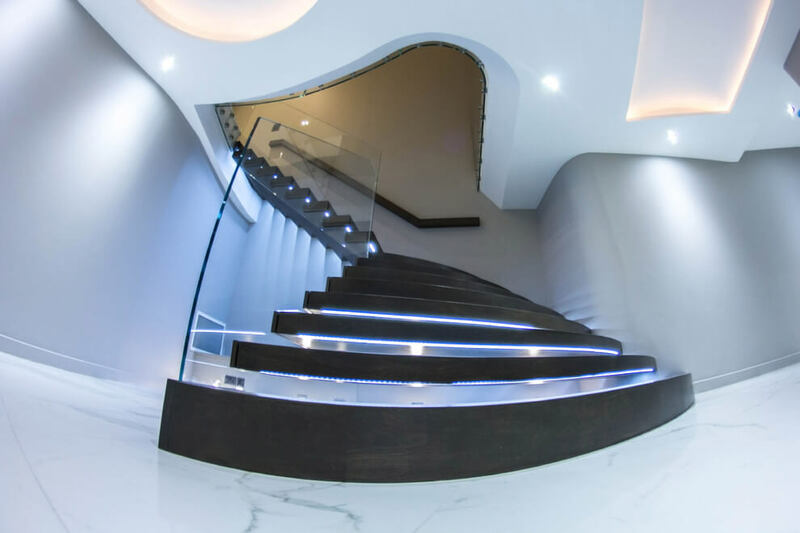 The bottom section is curved into semicircles, while the upper half consists of more traditional, rectangular steps. 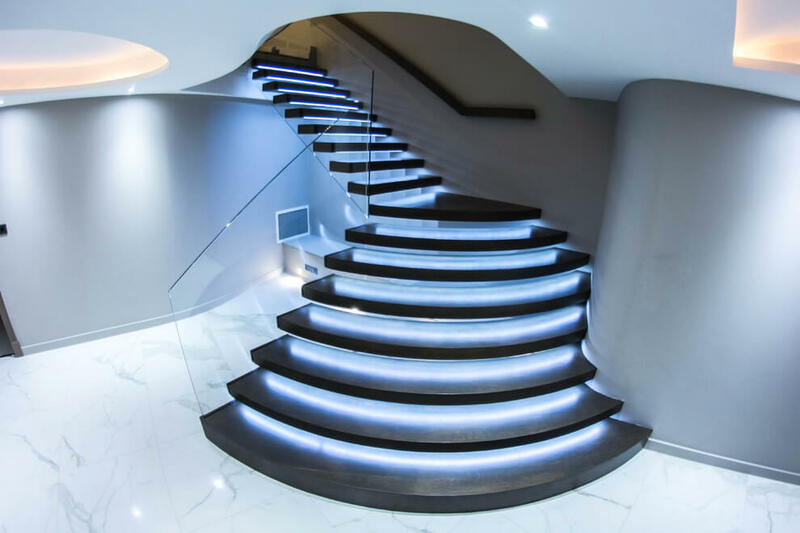 Each step is illuminated with an LED strip attached underneath. 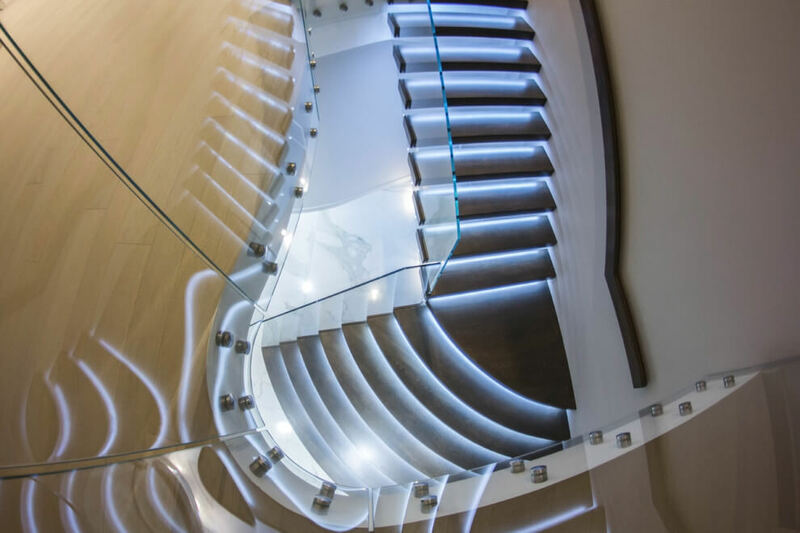 The look is completed by a set of clear glass balustrades and walnut treads.